Tony Gilroy is the smartest, most intriguing screenwriter since William Goldman was in his heyday. In a variety of films – including his own “Michael Clayton” and “Duplicity” – Gilroy has demonstrated both a toughness and a cleverness that few contemporary screenwriters possess. 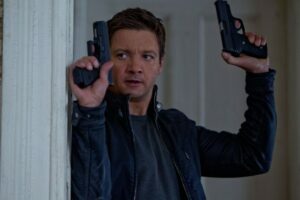 He comes through again with “The Bourne Legacy,” which he wrote and directed and which continues the saga of the first three “Bourne” films (which he also wrote), minus Matt Damon’s Jason Bourne. That raises the question of whether you can enjoy “Legacy” without having seen “Ultimatum.” It’s a little like buying a ticket to the last installment of “Lord of the Rings” or the last two “Harry Potter” films without having seen the earlier ones. You’re trying to jump aboard an already fast-moving train. Not that “Bourne Legacy” is hard to follow – or at least not if you pay attention. That, however, is a lot to ask of the average multiplex movie-goer, who just wants to be entertained, without having to think too much. But Gilroy’s films require the audience to engage more than just their eyes. You may not need to see “Ultimatum” to appreciate “Legacy,” but it will definitely enhance your understanding – or at least deepen it – if you are familiar with the what is being discussed in the cutaways to moments from the earlier film. The last film focused on Bourne’s arrival in New York to track down his own history. But he had to battle almost the entire CIA, which was suspicious of his motives (was he trying to expose the covert program that created him?) and did everything it could to thwart him. “Legacy” starts with the alarms set off by Bourne’s activities. It’s not just the CIA that’s worried; even more secretive national-security groups have even more covert programs in place, involving agents even more deadly (and, as it turns out, chemically enhanced) than Bourne. But Bourne’s actions create a threat of discovery that can’t be tolerated.